These two will change each other’s lives in Border. Border is one of those weird films where the discovery of what it’s about is half the adventure. It starts as one thing, becomes another, and then continues to get stranger and more wonderful as it moves along. What you must know, though, is discovering this oddball yet lyrical Swedish mystery is absolutely worth it. 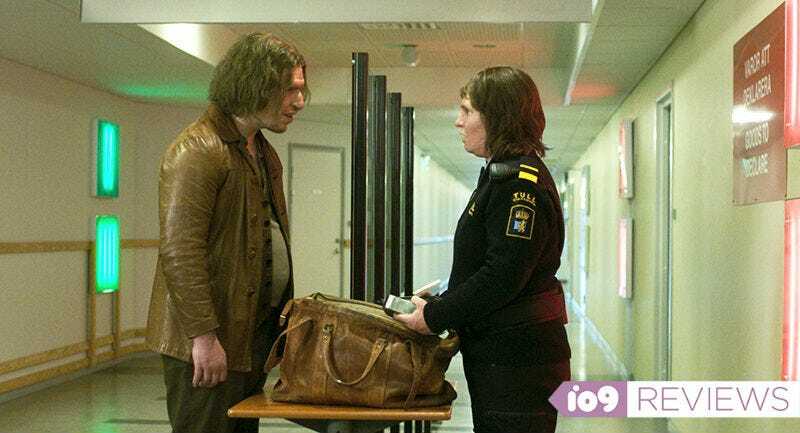 Directed by Ali Abbasi, Border begins with a border guard named Tina (Eva Melander) who has a certain sixth sense about people. She can just tell when someone is smuggling or doing something wrong. In fact, she’s never wrong until she meets one very peculiar man named Vore (Eero Milonoff). Vore reminds Tina of herself, maybe a little bit too much, and meeting him changes everything she knows about life. Essentially, Border is a kind of crime story that becomes a fish out of water mystery and then shifts into a journey of self-discovery before circling back on itself. It’s a transformative outing that works on every level, thanks in part to Melander’s turn as Tina. In a heartbreaking and gorgeously understated performance, she plays a woman who is good at her job and lives a comfortable life, but not a particularly happy one. She always feels like she’s different, an outsider, and as she starts to figure out why she is the way she, Border blossoms. There are scenes in the middle of this film that are just joyful. They’re weird and disturbing, but at the same time, they beautifully show the excitement of a person finally feeling like they belong for the first time in their lives. These scenes especially work as a stark contrast to the dark, grounded tone of the rest of the film. Eventually, this fairy tale relationship (in more ways than one) takes a turn and Tina’s personal growth—thanks to Vore—takes a few truly messed up turns. Border gets dark. It gets intense. And it gets its point across very, very clearly: Everyone deserves happiness, no matter what cruel, messed-up path they have to take to get there. Abbasi has made a very unexpected but very excellent film, one that poses challenges and changes in ways you’ll never see coming and might never forget. Border played at Fantastic Fest 2018 and opens October 26 in theaters.